Welcome to the jungle! 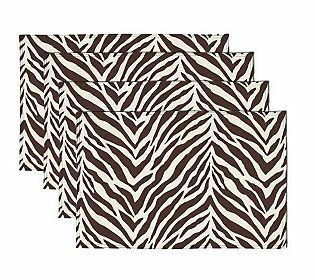 Add some exotic flair to your home with these Zebra print placemats. The durable fabric is water repellant, easy to clean, and fast drying. A flirty accent for your kitchen or dining room. From Watershed.